The rent at Townhouse, Two BR, $975/mo - come and see this one. Apartments ranges from $975 for a two bedroom to a $1,025 two bedroom. Apartments in this building are about 2% less expensive than the Wadsworth average. This is a pet-friendly apartment. This apartment is in Wadsworth. Nearby parks include Wintergreen Park, Mills Road Park and Miller Field. Townhouse, Two BR, $975/mo - come and see this one. Apartments has a Walk Score of 19 out of 100. This location is a Car-Dependent neighborhood so almost all errands require a car. Prestige and convenience await you in Ashton Place, Wadsworth's new luxury community. Surround yourself in comfort and style in these brand new, spacious two bedroom townhomes featuring all the amenities you need to make your life simpler. 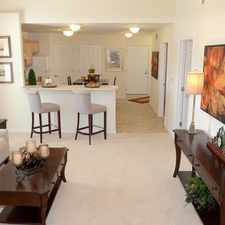 Each well-appointed town home offers a spacious 2 bedrooms and 2-1/2 baths. Plus, you'll appreciate the convenience of your own in-suite washer and dryer, range, refrigerator, dishwasher and garbage disposal. Savor quiet time on your own private balcony or patio. Enjoy the community atmosphere with a refreshing swim in the pool, or spend time at the Clubhouse. Phase II COMING SOON SUMMER 2019 BRAND NEW TOWN HOMES! Looking for a home for sale in Wadsworth? Explore how far you can travel by car, bus, bike and foot from Townhouse, Two BR, $975/mo - come and see this one. Apartments. View all Wadsworth apartments on a map. Search for homes in Wadsworth or find a Wadsworth real estate agent who knows walkable neighborhoods. Links will open on our partner site Redfin.com. Townhouse, Two BR, $975/mo - come and see this one. Apartments is in the city of Wadsworth, OH. Wadsworth has an average Walk Score of 29 and has 21,567 residents.